These are ideal for asking additional questions such as a choice of logo, gift packaging options etc. 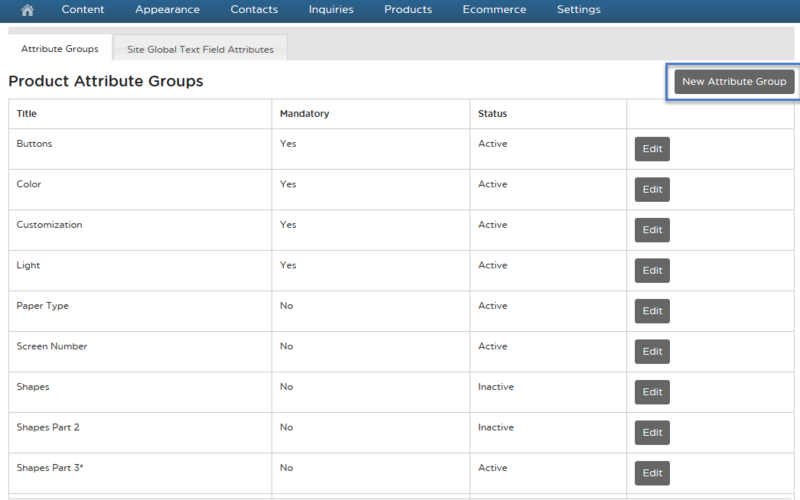 Step 1: From the Home page, click ‘Products’ then 'Attribute Groups'. Step 2: Click the ‘New Attribute Group’ Link. Step 3: Enter in a Group Title or ‘Category name’ and order you want the new attribute to be displayed. Then click Save Group Information. Step 4: Re-enter the Group by clicking ‘Edit”. Step 5: You can now add a specific attribute title, order and price. 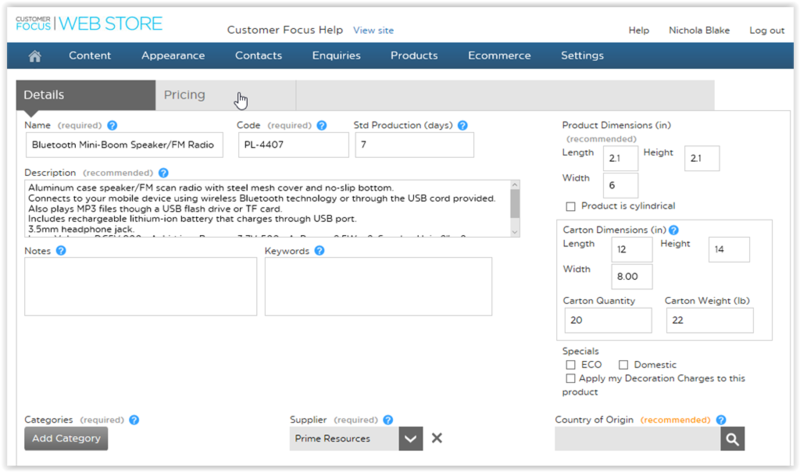 Step 6: From the toolbar click “ Products then ‘Find a Product’. Step 7: Click on the product to edit it. Step 8: Click ‘Edit Product Details. 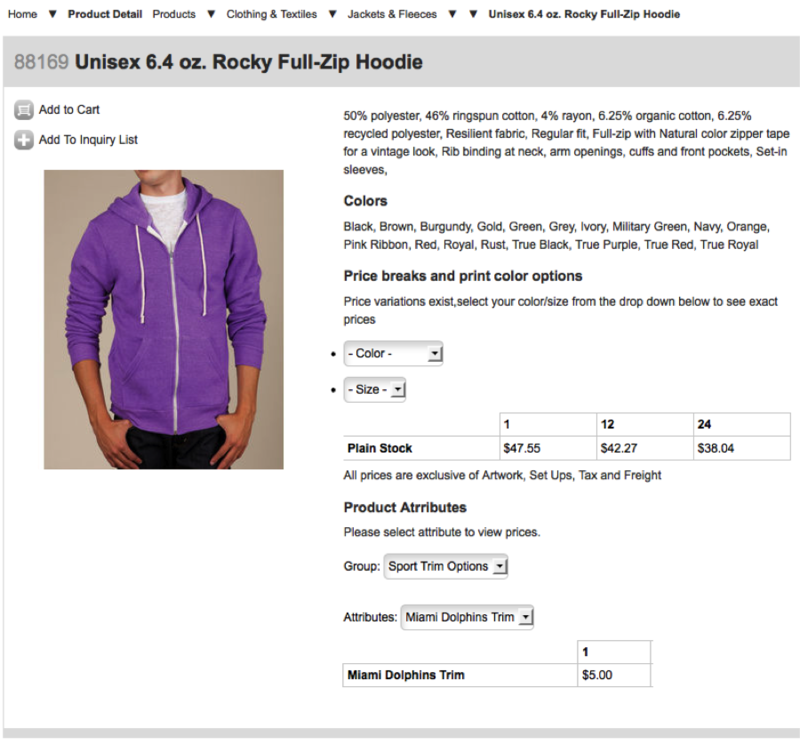 Step 9: Click the ‘Pricing tab. 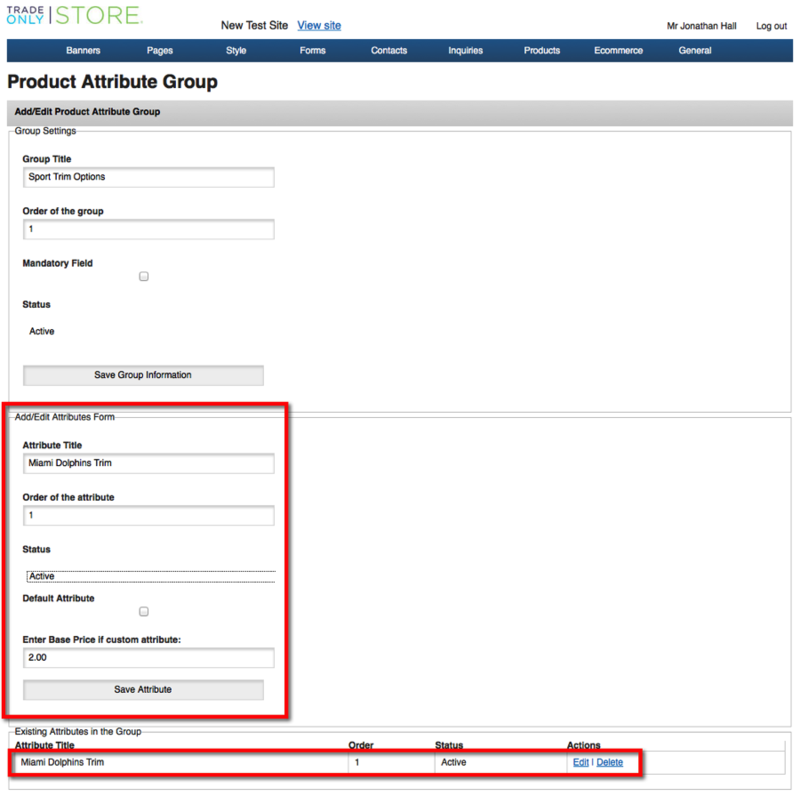 Step 10: Select ‘Add Product Attribute’. Step 11: Find the attribute option you entered from Step 3. Step 13: You can now add pricing to your new attribute. Step 15: Click ‘Check/Save Product.